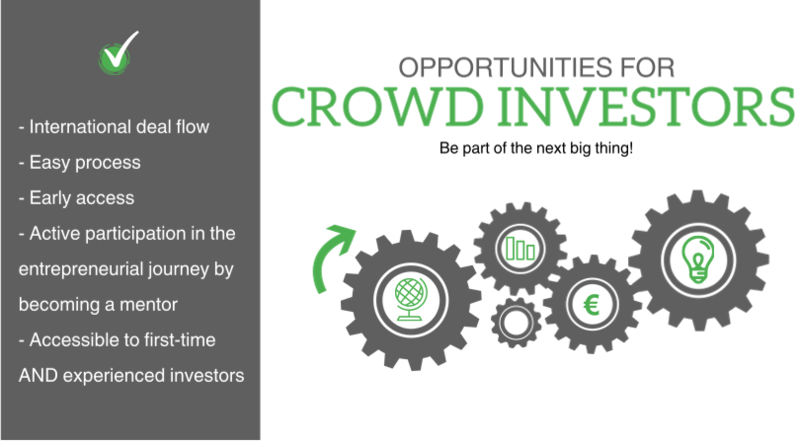 What motivates investors to invest in a crowdfunding campaign? Who invests in crowdfunding campaigns on FundedByMe? How does a campaign owner best appeal to crowd investors? On FundedByMe, investors buy shares in order to get early access to the deal flow of exciting companies with high growth potential. Subsequently, investors are also interested to follow the development of the firm, be engaged and bring value to the business. In general, there are two types of investors - those who believe there is a good chance of seeing a high ROI (return on investment) and those who sense a VFI (value from investment). When pitching your campaign, ensure that you address both audiences. Reach "ROI investors" by providing solid financial information, sales projections and the description of exit opportunity. Reach "VFI investors" by telling them about the value you create and asking them for input and expertise. Let them help you grow your idea and develop your company. It is up to the entrepreneur to answer tough questions from potential investors. Communicate clearly why people should invest in your company and explain passionately why your company is the next big thing. And while we're at it, be sure to answer any questions you receive on your campaign page on a daily basis. Build trust. Build rapport. Impress your future shareholders with facts!